“Winning the Carolina Cup was something I always wanted to do since I first picked up a SUP paddle in 2014. All of the guys I look up to like Danny Ching, Travis Grant, and Tituoan Puyo had won it before, and I wanted to be amongst that caliber of paddler. In addition to that, for me, it was a great victory as I bonked the year before and everyone was writing me off because of the downwind section at the end of the race. 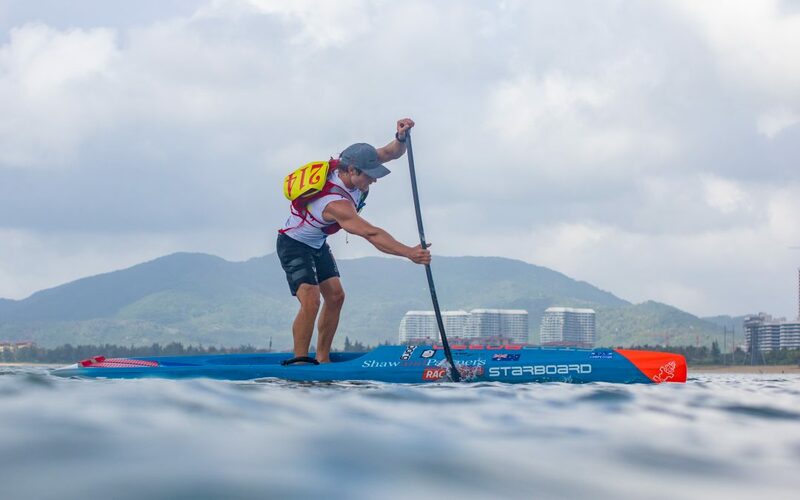 From an apprehensive start to a Champion Title finish, Michael Booth has certainly earned the respect of his fellow competitors following last weekend’s race results in the Paris Sein River Paddle. With just two nights back home in Perth, Western Australia after winning the ISA World Distance Title in China, Michael was quick to board a plane to Paris, France where he would face very different circumstances. Landing in freezing cold weather; crisp air, high wind and an extremely vast contrast to the hot and humid weather he had just come from. Michael tested his body and his perseverance, pushing his comfort zone to a whole new level as he braved the change of climate and focussed on the race that laid ahead. “China was extremely hot, humid and dehydrating last week and to then come to Paris and face freezing weather and be wearing thermals and beanie’s was definitely a bit of a shock to the body,” he said. 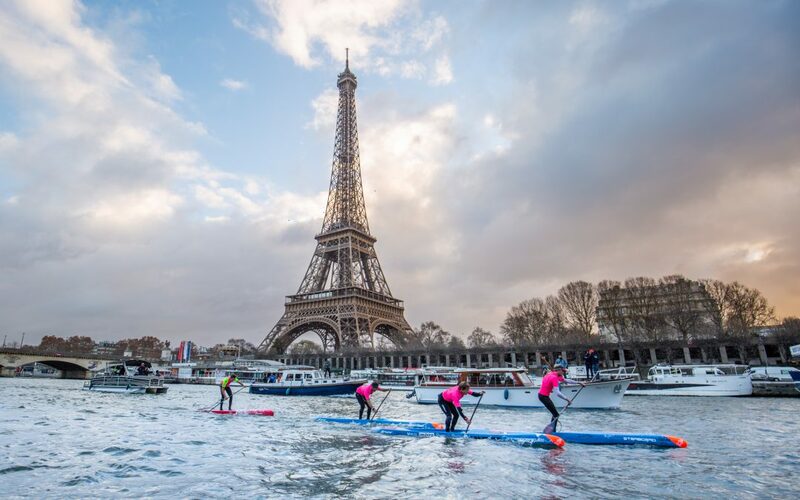 The Paris Open is known as the largest SUP race world-wide and will take place this weekend as the final stop of the APP World Tour. Australian paddler Michael Booth will test his comfort zone as he takes on foreign cold weather conditions in Paris. Booth is currently chasing the APP World Tour lead of Frenchman Arthur Arutkin, sitting in second place with Connor Baxter close behind him in third. “This weekend is going to challenge me to a whole new level,” he said. The format of the final leg of the APP World Tour will be a combination of man-on-man sprint races in the pool at the Paris Boat Show on Saturday. It will then be followed by a 14km distance paddle in the early morning on Sunday on the river seine with cold temperatures and strong winds predicted. 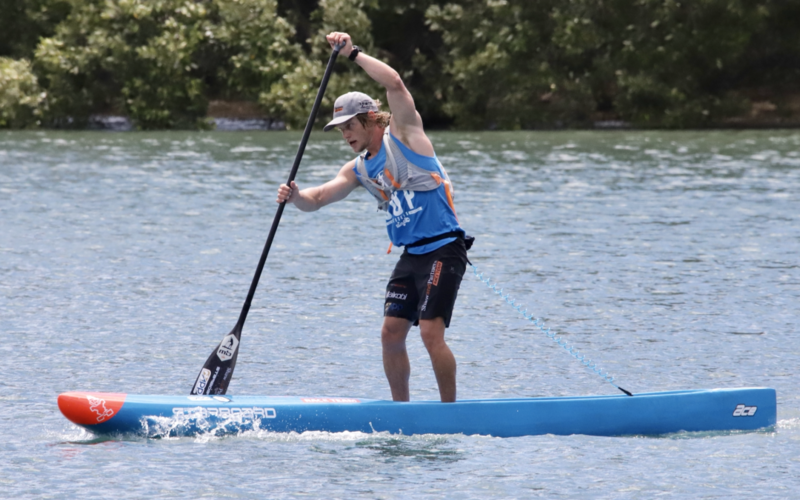 Michael Booth took out his 2nd Distance Title yesterday in the ISA World Championships held in Wanning, China. Despite not having the ‘ideal’ race preparation on his side, Booth was determined to make a good impression over in China and he certainly did not disappoint. Booth said he felt better than ever, both mentally and physically and knew he had a job to do, one which he wasn’t going to do half hearted! “From the first stroke I knew I felt strong. I felt like I had regained my form and if I was to do everything right, I had a great chance and a great opportunity to win”. 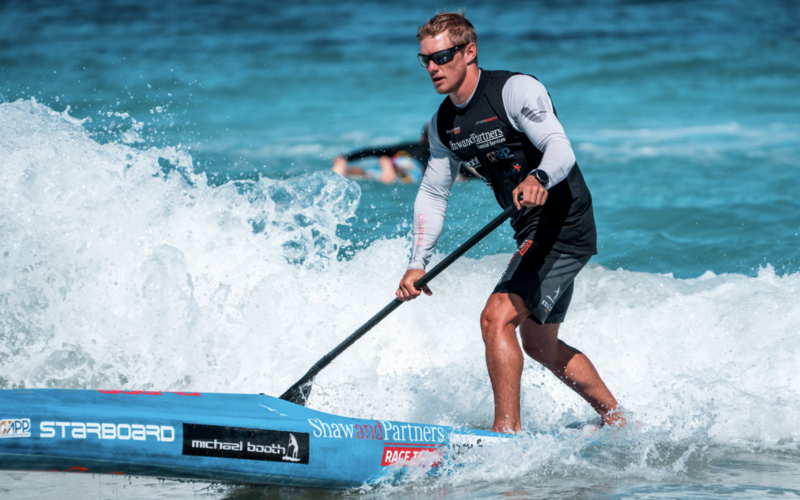 Michael Booth finished 5th last weekend in the Shaw and Partners Doctor race held in Perth, Western Australia, finishing just 90 seconds off the win. 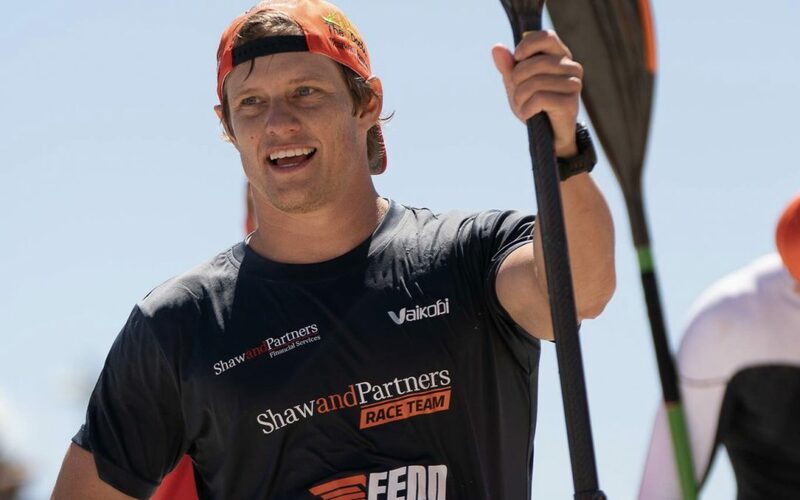 With a 27km flat-water grind presenting itself early on in the race, Booth expressed it was tough early on to hold a consistent, strong pace, as there was little help from the conditions. 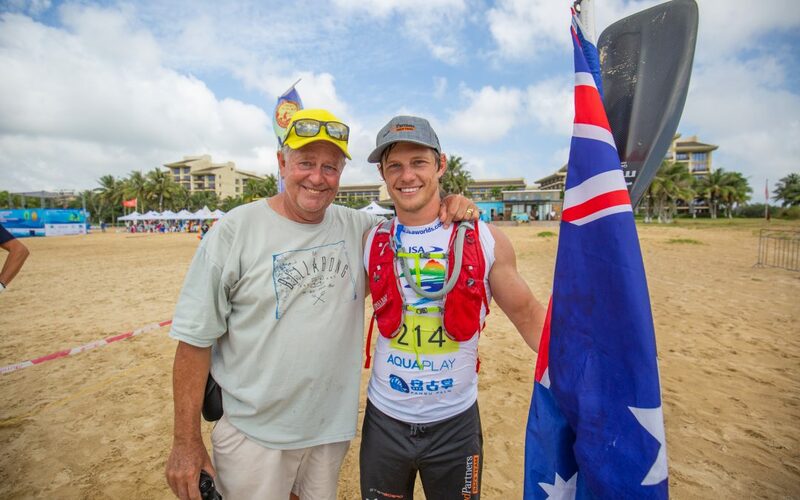 “It was certainly tough for the first 15km with little to no assistance, but as the race went on a 10-12 knot South-Wester blew through which made it a little easier at the tail end of the race”, he said. Booth hit the lead early on, however towards the end felt he was really hanging on, finishing in 5th place, closely behind the leading pack and 90 seconds behind winner; Cory Hill. Michael Booth was crowned Aussie Marathon Champion for the third consecutive year on Tuesday afternoon with epic 18-20 knot southerly conditions treating the competitors to a prodigious downwind battle. The Tech Race was run on the Monday afternoon where the course presented not only a highly competitive field, but 20 knots of cross wind and 2-3ft swell, making it a challenging race from start to finish. Whilst Boothy spent majority of the race in the top three, swapping leads with Lincoln Dews and James Casey – the finish just couldn’t come quick enough after missing a few waves and quickly going from first to fourth and not able to return to the lead. “It was one of those days where your race can change very quickly if you don’t pick the right line coming in and out of the break.